While EA Sports have previously mentioned that they have no concrete plans to release any further roster updates for NBA Live 16, it seems that we may be in luck after all. A very minor offseason roster has been pushed through featuring a few of the pre-Draft moves, such as the trade that sent Derrick Rose to the New York Knicks. The roster is dated July 7th, so it was obviously finalised before any free agent signings were made official. As such, Kevin Durant is still on the Oklahoma City Thunder, Dwyane Wade is still on the Miami Heat, Dwight Howard is still on the Houston Rockets, and so on. With many players now signing the contracts they agreed to at the beginning of free agency, those moves should be included in any future roster updates. There aren’t any rookies in the new roster either, but if the offseason roster updates do continue, it seems possible that they might be added. As demonstrated in this Tweet from Ty Stover, Manager/Marketer at EA Sports, the team is using the Summer League to get the rookies in to have their faces scanned. That would obviously provide them with assets they can not only use with the console version of NBA Live 17, but also roster updates for NBA Live 16. 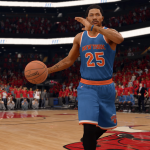 With NBA Live 17 being delayed until early 2017, pushing through offseason roster updates for NBA Live 16 is a great way to maintain brand awareness, and promote goodwill with basketball gamers. It’s something that we’ve discussed at length on the NLSC Podcast, and I’m glad to see it happening. Hopefully, EA will continue to update the rosters through the offseason, from free agent signings to this year’s rookie crop. We’ll be sure to keep you posted of any further developments. 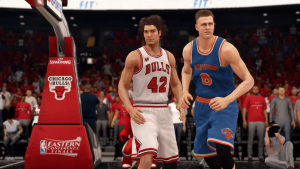 In the meantime, see below for a couple of screenshots of Derrick Rose and Robin Lopez on their new teams. I was delightful when seen new rosters. ^^ They have changed ratings too, for example from my beloved Detroit: T. Harris was decreased to 77, M. Morris was increased to 79 and so on. 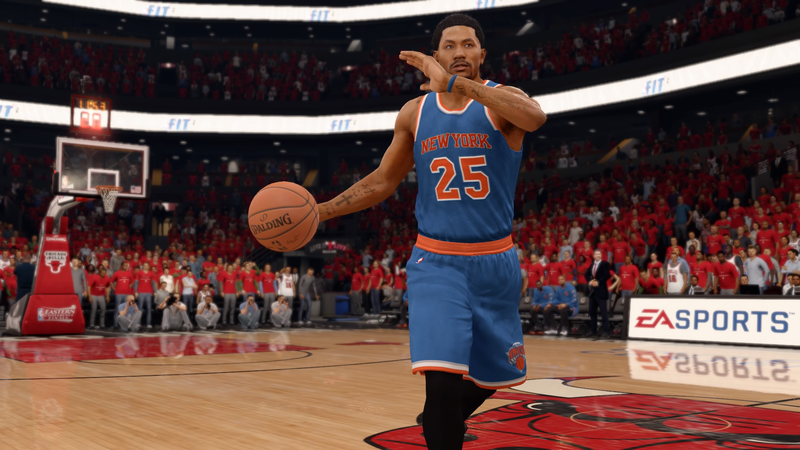 Unfortunately, it doesn’t sound like they’re going to push through any more updates for NBA Live 16. Doesn’t look like it’s going to happen, unfortunately.